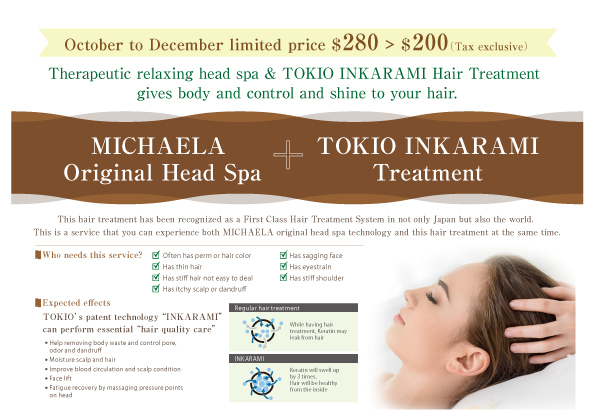 This hair treatment has been recognized as a First Class Hair Treatment System in not only Japan but also the world. This is a service that you can experience both MICHAELA original head spa technology and this hair treatment at the same time. for more information about this campaign, please ask us!! « BUY 1 Clear Spa Foam & GET 1TIME FREE Campaign! !